Spinal surgery offers shorter recoveries. 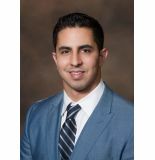 Dr. Ali Anissipour offers patients comprehensive spinal surgery using the latest minimally invasive and motion sparing technologies to provide the best care for his patients. Many of Dr. Anissipour’s spinal surgeries are overnight procedures; some are even possible on an out-patient basis. His extensive training in state-of-the-art surgical techniques and technology allows him to work with smaller incisions. This results in less damage to muscle tissue, reducing blood loss, post surgical pain and scarring. Dr. Anissipour also performs cervical disc replacement, an overnight surgery that, for some patients, can be an alternative to traditional ACDF (anterior cervical discectomy and fusion). A damaged neck disc is replaced with a prosthetic disc, maintaining motion. “It’s only been available in the United States within the last decade,” he said. More information coming soon. Please visit our Orthopedic, Sports, Spine and Hand Center page.